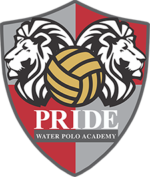 Pride Water Polo Academy is pleased to welcome Kendra Klein to the role of Head Women’s Program Director. Kendra joins Pride Water Polo Academy after spending three years as assistant coach for the University of the Pacific Men’s and Women’s Water Polo programs. As an assistant with the men’s program, Kendra helped the Tigers to a 50-29 record, including the 2013 MPSF regular season title, and Pacific’s second-ever NCAA bid. The 2013 Tigers spent four weeks ranked No. 1 and advanced to the NCAA National Title Game before falling in overtime. As assistant with the women’s program, Kendra helped the Tigers to a 46-43 record, including two of the top four seasons in Pacific history. In her three seasons, Pacific was recognized with seven All-Conference women’s water polo awards, including 2015 Gold Coast Conference Co-Player of the Year Anna Kertes. 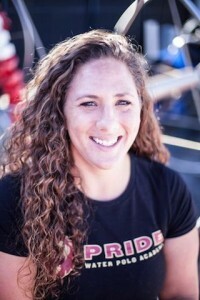 In Fall 2011/Spring 2012, Kendra was a physical education instructor, assistant swim coach and head women’s water polo coach for San Joaquin Delta College. Previous to Delta College, Kendra served as the graduate assistant for the University of the Pacific Women’s water polo program. Kendra helped lead Pacific’s women’s program to its first-ever Big West Conference title and 20-win season in 2010. In 2008/2009 Kendra served as assistant men’s & women’s water polo & swim coach to former alma marter Santa Rosa Junior College. As an assistant, Kendra helped the women’s swim team win the state title and the men’s water polo program qualify to the state tournament. A two-year letter winner at CSU Northridge, Kendra was her squad’s captain in 2004 and helped guide the Matadors to a No. 15 national ranking. Prior to CSUN, Klein spent two years as a dual athlete at Santa Rosa Junior College. In 2001, Kendra was an All-American swimmer and polo player. She was also named the Bay Valley Conference Player of the Year. In 2011, she was the first women’s water polo player to be inducted into the hall of fame at Santa Rosa Junior College. Kendra graduated with honors from CSU Northridge in 2005 with a B.A. in political science. She earned her master’s degree in Health Exercise and Sport Sciences from Pacific in 2012.